Christmas may begin. 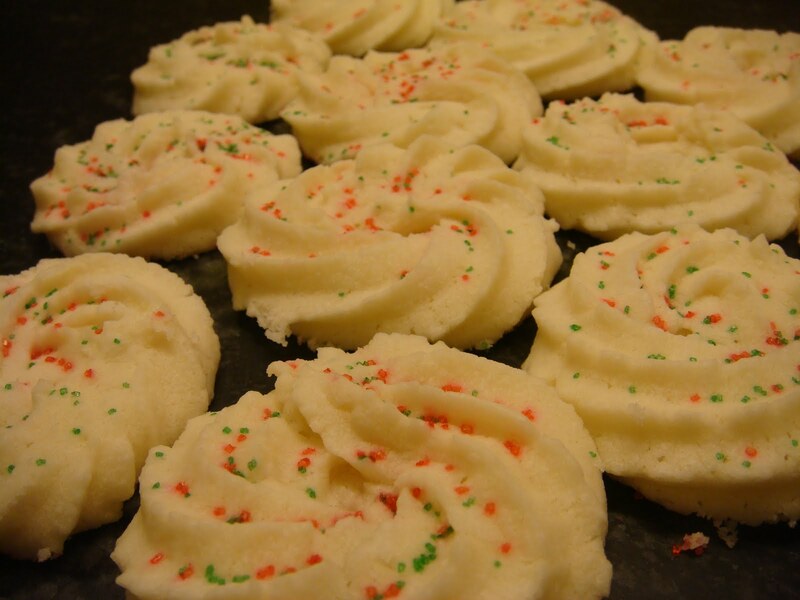 For me it doesn’t feel like Christmas until I have had my mom’s famous shortbread cookies. My mom made these every year when I was a kid. They were always every ones favorite. I used her recipe but subbed the all purpose wheat flour for my gf all purpose flour. They turned out EXACTLY as I remember them and my mom agreed. They are light, fluffy, fragile, buttery, melt in your mouth perfection. 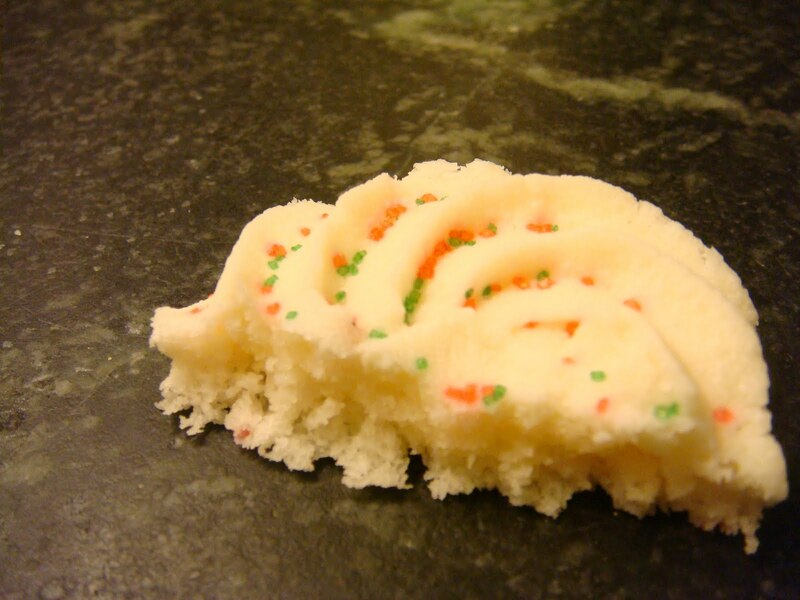 They are the way shortbread cookies should be. Once, I tried a commercial shortbread. That is not shortbread. This is shortbread. Preheat oven to 325. 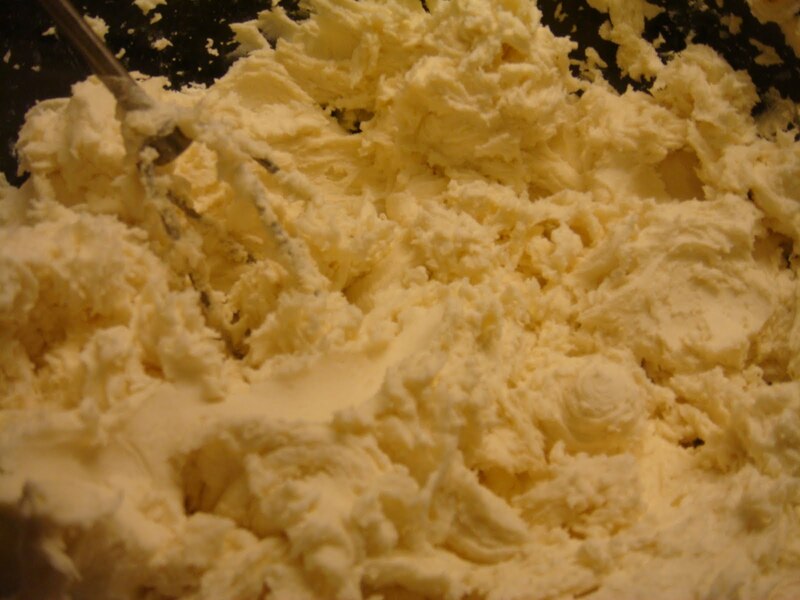 Cream butter and dry ingredients. This takes a while. Add vanilla. Beat until fluffy. You may drop by teaspoonful onto ungreased cookie sheet ( I always use parchment paper to make my life easier) but these are best if you use a cookie press. In the pictures below I used a piping bag as my cookie press just died. Then decorate the cookies with maraschino cherry bits, chocolate chips or sprinkles. They are meant to be small and delicate. Bake for 15 minutes. Do not brown. 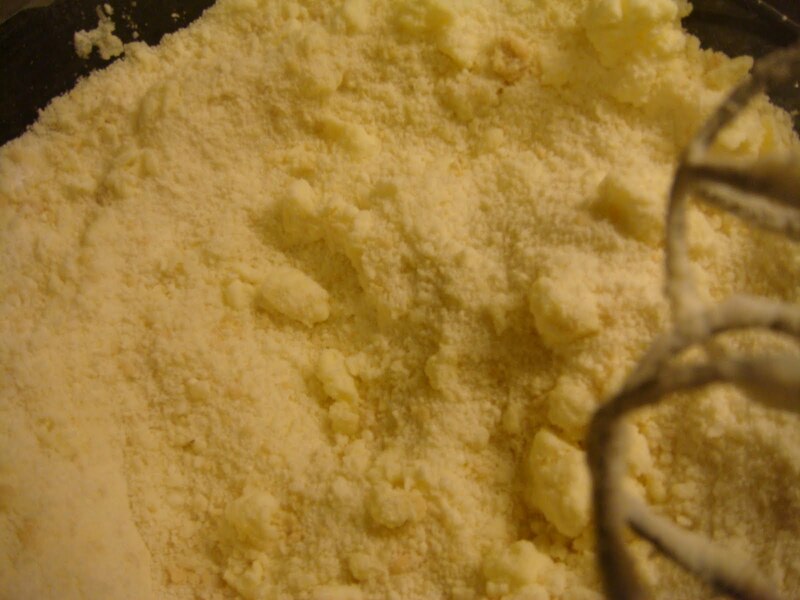 This will make 7-8 dozen small cookies. I love shortbread. These cookies look fantastic. Have a Merry Christmas! Thanks! And Merry Christmas to you too Brian. I clicked on the link for the gf flour mix and it didn’t take me to it?